The movement of trucks, including such phases of operation upon public ways as backing, speed, turns, passing, and injuries to guests and pedestrians, are generally governed by the same rules of the road as are applicable to other motor vehicles. The driver of a tractor-trailer is not held to a higher standard of care, because of the size, weight, etc. of the vehicle, than that which is required of drivers of ordinary vehicles. Overloaded or overweight trucks are one of the leading causes of truck accidents in North Carolina. Overloaded trucks are more likely to cause a rear-end collision or rollover accident. Truck loads must also be properly secured to avoid injuries from falling objects and loose debris. An overweight truck is more difficult to control, especially at high speeds. It takes longer to stop and is harder to turn safely. Commercial trucks have specific weight requirements. Large commercial vehicles are not permitted to exceed 20,000 pounds per axle, according to regulations set by the Federal Motor Carrier Safety Administration (FMCSA). There is a limit of 80,000 pounds total allowed. 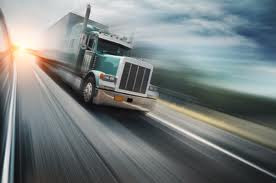 The trucking company is ultimately responsible for ensuring that all federal weight limitations are followed. In cases where cargo was improperly balanced, loaded or measured can often result in a truck accident. Overloaded truck accidents are 100 percent preventable with proper preparation. A truck that is above the weight limitations for specific roads, overpasses and bridges can cause the roads to collapse. Overloading a truck will raise the center of gravity of the vehicle, increasing the likelihood of a truck rollover accident. The additional weight and momentum can make injuries all the more devastating and debilitating. A heavy truck shifts the weight to the rear of the vehicle, taking weight off of the front tires and making steering very difficult. Overweight trucks travelling uphill take much longer than other trucks who abide by weight limitations. This can pose a threat to approaching vehicles around blind corners. Overweight trucks going downhill travel much faster and are harder to stop. The additional momentum adds stress to the truck’s brakes which can cause them to fail. Too much weight can cause the truck’s tires to burst. Overloaded trucks have more difficulty stopping in time to avoid a collision. If you were injured in a collision caused by an overloaded truck, you may be eligible to file a lawsuit to recover compensation for medical bills, lost wages, pain and suffering and other damages caused by the wreck. Trucks are at risk of a rollover because of their high centers of gravity. Stability decreases when the weight of a vehicle is high off the ground. A truck tipping over is dangerous to nearby vehicles, which can be crushed under the weight of a truck in a rollover. Rollovers occur when drivers lose control of a vehicle, which then begins to “slide” sideways. Any obstruction or uneven ground on the roadway “trips” the vehicle, causing it to roll over. Drivers who try to turn their vehicles too quickly within a small radius may also cause the car to tip and roll over. Any frictional force between the tires and road surface can cause a single vehicle to roll. Though relatively rare, rollover accidents are usually deadly. They are more likely to result in fatalities than any other type of crash. It is important to act quickly in obtaining an experienced attorney following a rollover accident, so that critical evidence can be secured and an investigation is started as soon as possible. Rollover accident cases are among the most demanding and expensive cases to fight. Your attorney should have the financial resources to retain experts and investigators and prepare a thorough case. The folding of a semi-truck, commercial truck, tractor-trailer, 18-wheeler, or any kind of large truck is referred to as a jack knife collision. A 2009 report by the Federal Motor Carrier Safety Administration shows that over the span of only one year 4,146 jackknife accidents occurred. Jack knife truck crashes are commonly associated with bad weather, such as snow or heavy rain. This association stems from the fact that jack knife accidents often occur when the truck driver brakes too suddenly, causing the trailer to swing around and fold. When the truck skids, the driver automatically slams on the brakes, initiating the jack knife motion. While brake failure is the most common cause found in jack knife collisions, the following are a few additional causes: speeding, sudden, braking, driver error, improper loading, slick surfaces (snow, rain, etc. ), empty trailers, distracted driving, high speed turns, shifted loads in trailer, failure in anti-lock system. When a jack knife accident occurs, the injuries associated are typically very severe. Due to the forceful impact of such a large vehicle, trucks have the potential to cause massive damages to other vehicles, as well as additional collisions due to vehicle pileups. Serge Semirog attorney prepared to guide you throughout each step of the process. We understand that you are overwhelmed in the days following a collision, allow us to handle the litigation process so that you have an opportunity to get back to your normal life. auto and truck accident litigation. We will provide you with caring and compassionate one-on-one representation, as we know well how stressful your situation can get. We fully understand the issues, concerns, and inconveniences that you might experience. We will never charge you a fee unless we obtain a settlement for you.